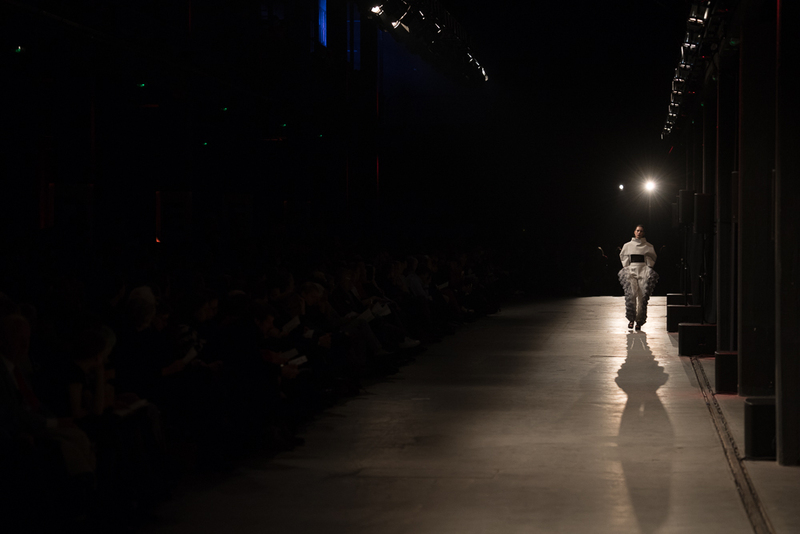 A few weeks ago, we gathered at Motorwerk to savor the annual Weißensee Student Fashion Show. The presentation featured nearly 340 looks, but thanks to the clever organization and the designers’ consistency in terms of quality and finish nothing ever felt redundant, and—quite the opposite—the event was a rich and teasing experience. 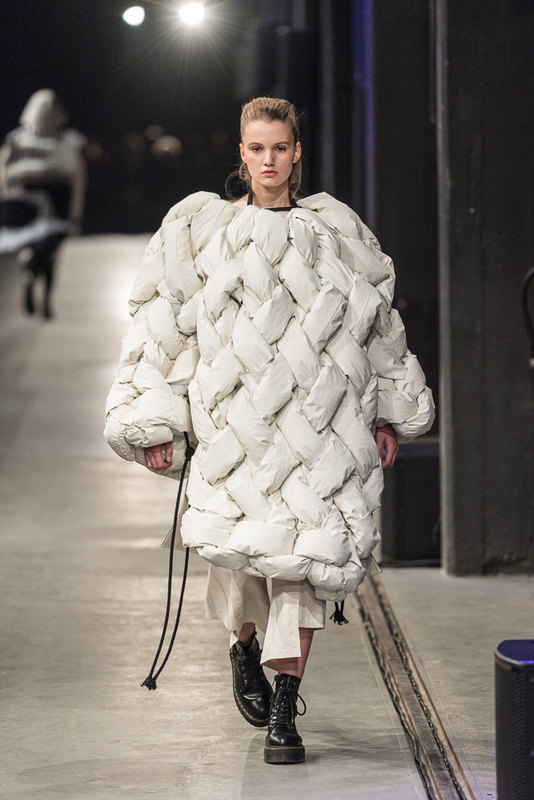 As the show unfolded, an overall attention towards details and a predilection for quirky refinements emerged from the dim light of the ever so “Berlin” location. Materials and their impact on the body’s geometry proved to be the leitmotif behind many collections. 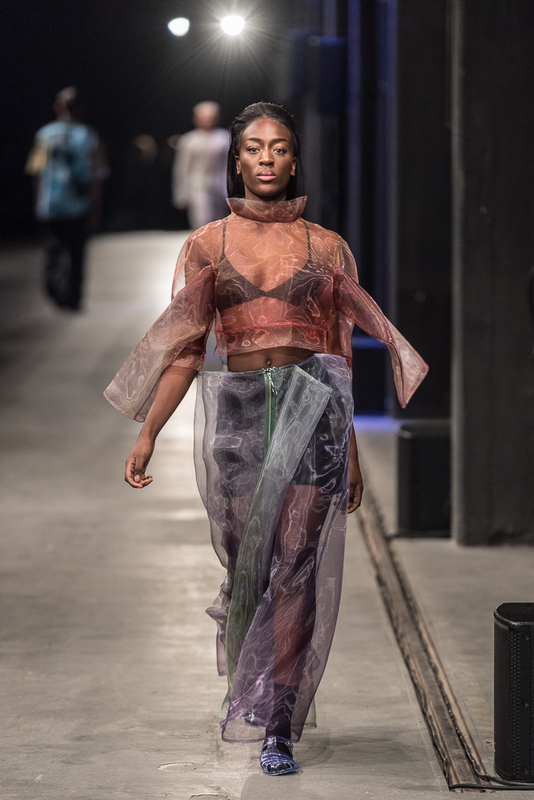 Some students, like Peter Reinholdt & Joy Weinberger turned to diaphanous, translucent fabrics to reveal unexpected body parts as if to actively integrate them into their outfit layout and taking “see-through” to a whole new level! Other styles were characterized by elaborate surfaces and plastic tapestries, which rather hid the body’s shape and altered its outline. 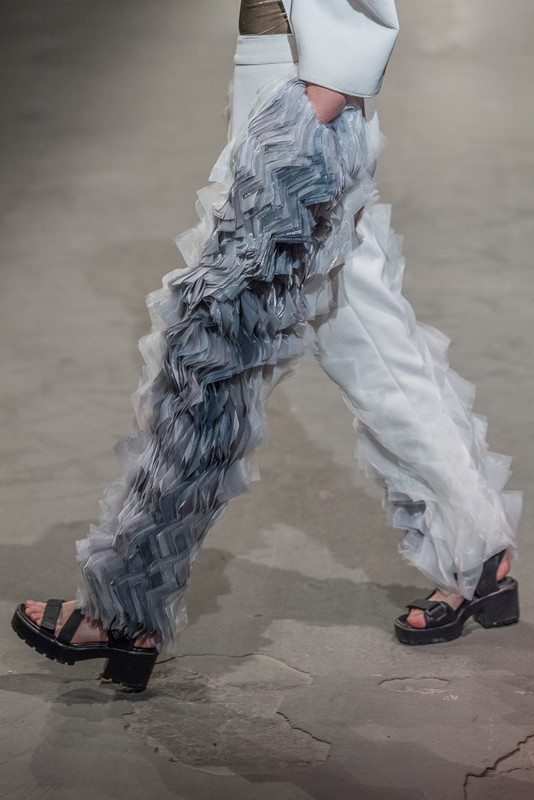 To name a few highlights of the undergraduate program: Laura Gerte worked with over-dimensional knits and Finja Brett with opulent frill appliqués in shades of gray and silver. Master thesis collections were also remarkable. One designer, who stood out for her sharp and tasteful vision was Pina Riederer. Her collection was a parade of fluent separates held together by seat belts. The unusual girdles and porcelain fastenings came in black, light blue, and beige and were subtle key traits of her designs. Along with the edgy webbing harnesses, we admired graceful evening dresses, some strapless and figure exalting, others soft and enveloping, as well as one-shoulder tank tops, lacy lingerie, jackets with delicate embossing, high waist satin skirts, and bras worn over masculine shirts with clear references to cross-dressing. The 9 look thesis project was inspired by Pina Bausch’s costume design for the cult piece “Nelken” in which dancers are dressed to stress cliché characteristics of both men’s and women’s attire. Taken by the subtly caricatured silhouettes on the dancers’ bodies, Pina set out to explore the way fashion changes and functions in relation to movement. Construction details such as slits and asymmetries were first revealed through motion, while models swayed down the runway. 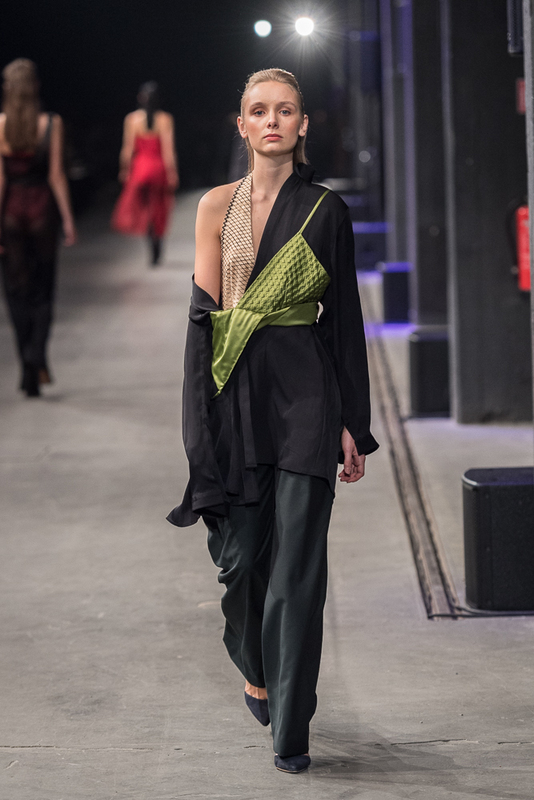 Another accomplished graduate worthy of mention is Alessandra-Isabel Hager with her collection “Bildsinn”. Her confections transported the kind of laid-back elegance that promises to make the wearer feel both warm and polished during gray winter days—loose-fitting and comfortable while featuring fine-spun details such as ruched finishing along waistlines and ankles. 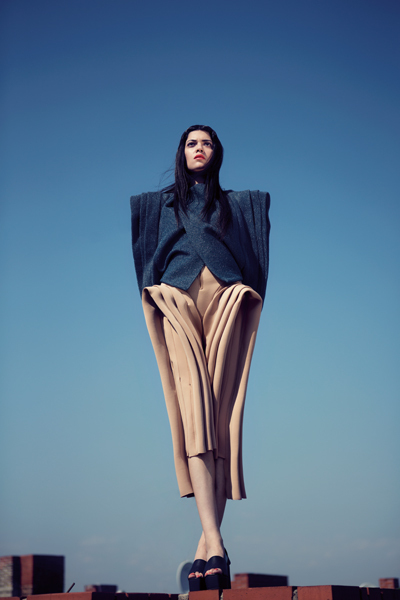 Intrigued by the functional notions of exposure and concealment, Alisa created pieces that serve both as a shelter and a platform depending on how they are worn and combined. In fact, the collection’s strength lies with the numerous pairing options and the resulting wearability. 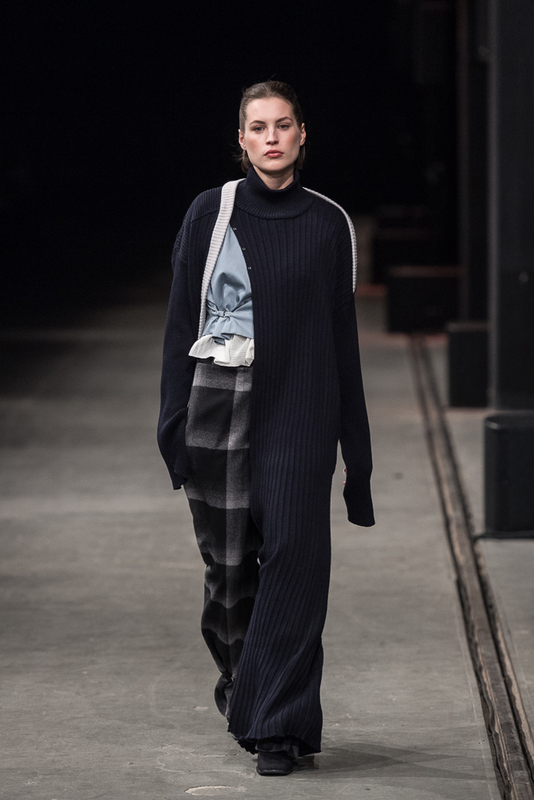 There were wide cut trousers, versatile overalls, a suede suit, long-sleeve tops with build in scarfs and a plissé-knit overdress with ribbed edges. 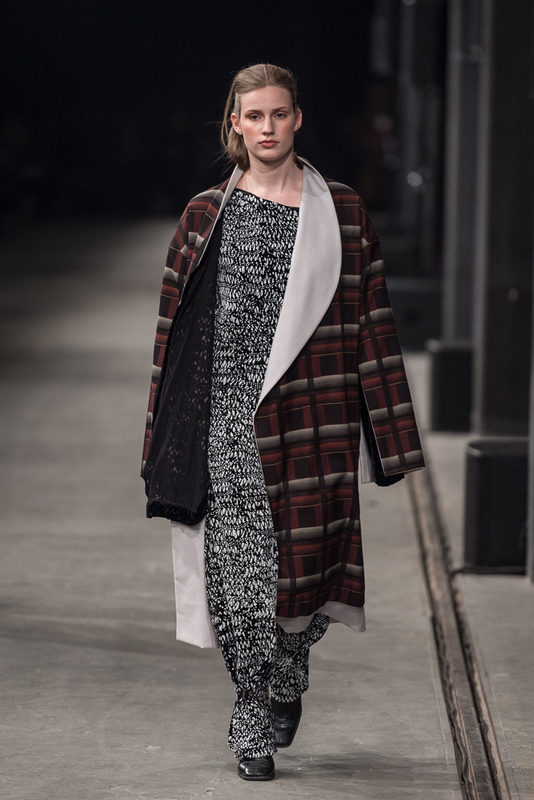 Colors included shiny rosé nudes, muted and opaque jacquards as well as organic black and white patterns. 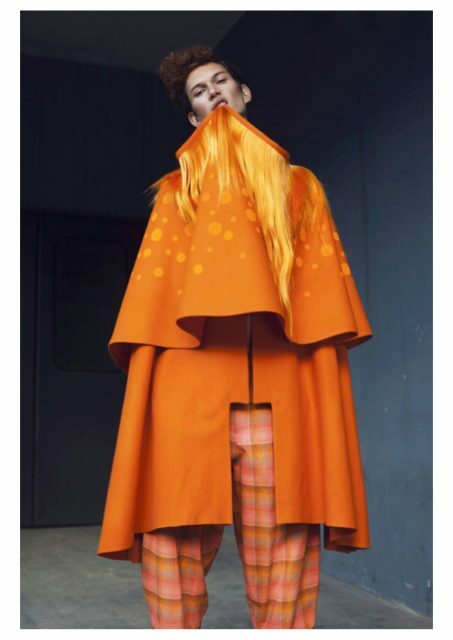 We can’t wait to see how these up and coming young creatives will grow their visions and contribute to the changing German couture landscape!